Due to the fact that Southern Homes continuously updates and modifies its products, our brochures and literature are for illustrative purposes only. 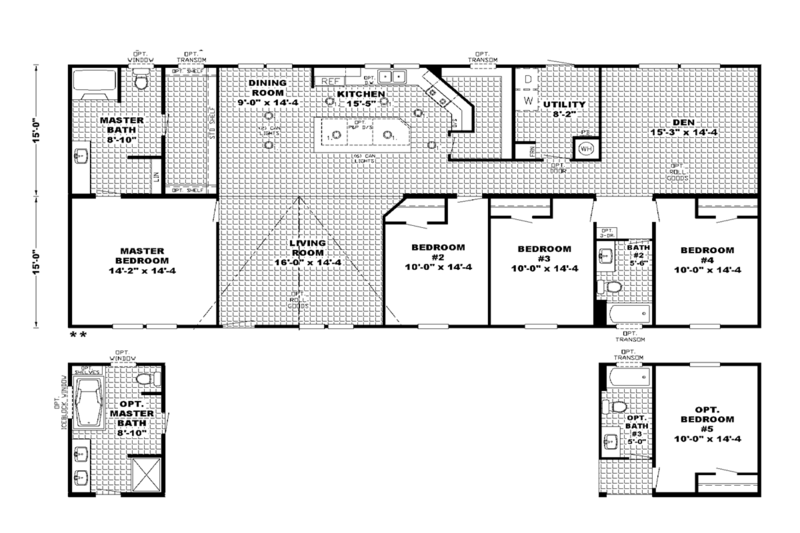 Floorplan dimensions are nominal. We reserve the right to make changes due to material changes, prices, colors specifications, features at anytime without notice or obligation. Your retailer can provide you with specific information on the home of your choice. Expansive extra large four or five bedroom family home features open concept living room/kitchen/dining room, spacious private den/family room, large master suite with 15’ walk-in closet, large master bath (available optional luxury master bath), king size guest bedrooms and an abundance of closet and storage capacity throughout.